Some justice has finally come of the 2006 export disaster involving Swiss-based oil trader Trafigura, who will now be fined €1M for illegally exporting hazardous waste out of Amsterdam. 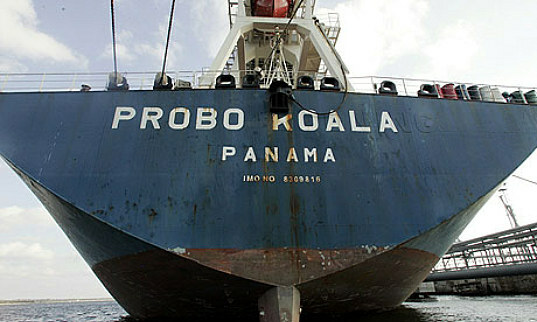 In 2006, the ship, Probo Koala, had a load of nasty, toxic waste and went to Amsterdam to unload it and have it safely disposed of. But it seems the price of discarding the waste responsibly was too high, so the ship left Amsterdam and headed for the Ivory Coast to dump their load, resulting in at least 15 deaths and the poisoning of thousands in Africa. The court ruling for the €1M fine is actually just for Trafigura’s dealings in Amsterdam. 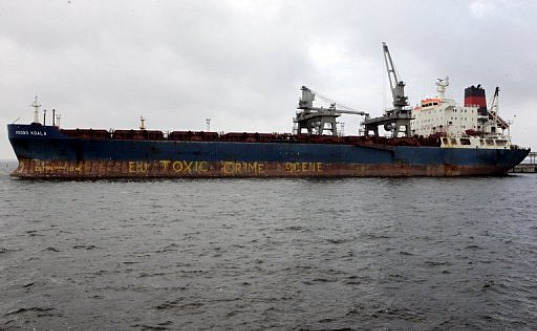 The ship, piloted by Captain Sergiy Chertov, approached Amsterdam hoping to unload their cargo, which was full of caustic soda and petroleum residue, and have it properly disposed of. The responsibility of offloading was then passed to waste treatment company Amsterdam Port Services (APS), who said it would cost a higher price than originally quoted to dispose of the toxic cargo. Apparently the Probo Koala thought the price too high, so they pumped the mess back onto the ship, concealed how dangerous it was and headed towards Abidjan where they were supposed to dispose of it. Rather than having it properly treated, the ship decided to cut costs and dumped the hazardous waste near the Ivory Coast. As it stands officially, 15 people were killed as a result and thousands were were poisoned. The fine coming out of Amsterdam is only for the illegal export out of Europe, but does not apply to the illegal dumping in Africa – the punishment for that is still to be determined.